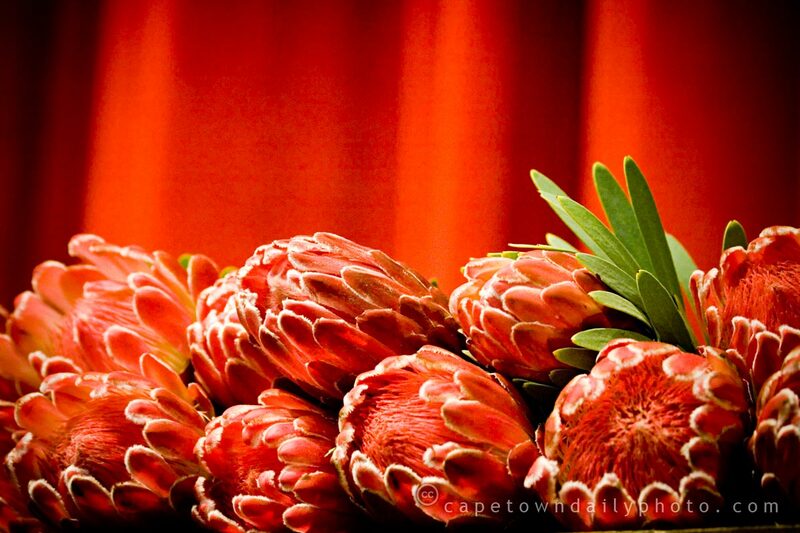 As you by now know (perhaps due to the title of this article), the Protea is South Africa's national flower. It's perhaps easy to imagine why it's the case, (a) they are fantastically beautiful, and (b) there are huge numbers of them in many different species all over South Africa. Just take a look at the map on this page and click on the Western Cape. Click on the various coloured blocks representing areas and the species found there. Hectic hey!? The largest flowers grow up to 300mm in diameter! Most Protea species protect their seeds from rodents by using ants to carry seeds underground or by protecting them in cones that release the seed only during a bush fire. Some Proteas in fact encourage rodents to carry off their seed by dropping juicy fruit on the ground. They produce abundant seed for a short period, causing rodents to hoard the seed in nice damp places, often covered by a little soil. Rodents often end up not returning for the food, or simply not being able to find all of it! This naturally encourages germination, and voila, a new Protea bush erupts. Posted in General and tagged flowers on Tuesday, 11 August, 2009 by Paul. I love this image. Do you sell prints?? Yes, depending on where you are we could sell a print of the photo. I’ll quickly send you an email. Thanks for the information,it is really helpful.